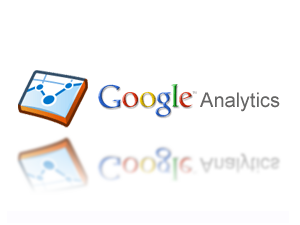 Having Trouble Linking Adwords & Analytics? So how are you getting on with the new version of Analytics? I must admit, after years of using the previous version, it was pretty tough to make the switch! One of my real gripes with the Adwords/Analytics was always the inconstancies when trying to link them… to be fair I am talking about 2 – 3 years ago, but it always seemed that in one set of circumstances you could make the link easily, then we would take over another account and attempt to link up the two with no joy, despite being admins on both accounts! However Google did get better and during the last year or so linking accounts wasn’t actually too bad. One issue that was never resolved via the old interface was the ability to link multiple adwords data to the same analytics account, and/or multiple profiles. These things could be achieved, but only via our Google account team. This brings me to the new/current version of Google Analytics, the great thing here is that you have complete flexibility to link multiple accounts to various profiles at last without having to go via Google! With that in mind, I have outlined the required steps below that will allow you to link multiple Adwords accounts to your Analytics accounts/profiles, this process gives you maximum flexibility so I hope it solves some of the frustration out there and is certainly a plus in my book for the new analytics! – Log in to your Analytics account under an admin login. – Then sign in to your AdWords account on the same admin login. – Click the Reporting and Tools tab and then navigate to the Google Analytics section. – Click the cog icon at the top right of the Analytics interface. – Click “All Accounts” at the top left of the page. – Select the account to which you want to link AdWords. – Chose the Data Sources tab. – Select the Analytics profiles in which you want the AdWords data to be linked to (This can be more than one). And that’s it, plus if you want to link another AdWords account to your Analytics account, repeat the procedure above using that other AdWords account… Easy!